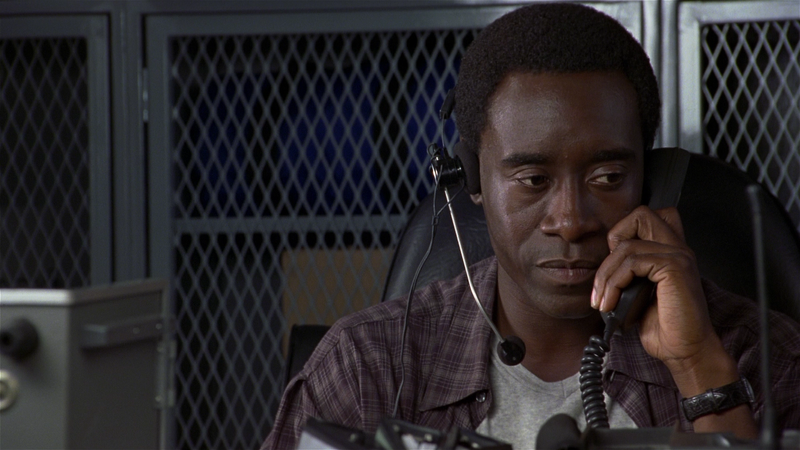 Plot Outline: Something unspeakably chilling is heating up the City of Angels. Beneath the famed La Brea Tar Pits, a raging volcano has formed, raining a storm of deadly fire bombs and an endless tide of white-hot lava upon the stunned city. 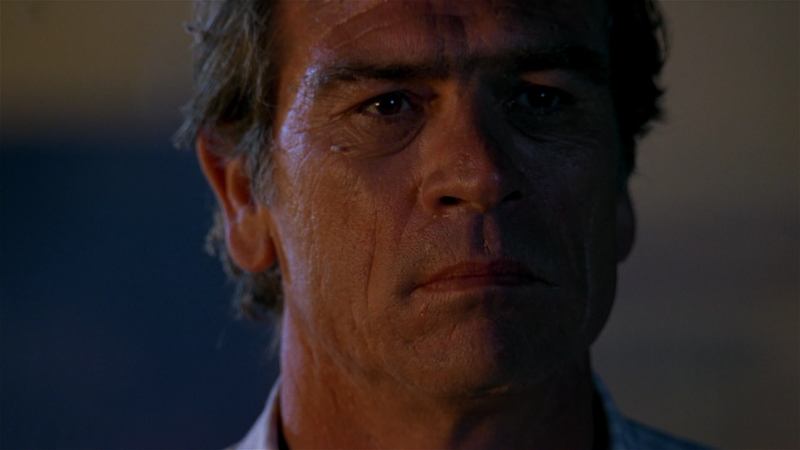 It’s up to the director of the city’s emergency management Michael Roark (TOMMY LEE JONES) and geologist Amy Barnes (ANNE HECHE) to race against time to stop the flow before it destroys the entire city and kills millions. 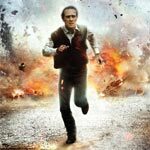 Quick Hit Review: Having actually seen Volcano and the other volcanic disaster movie of ’97, Dante’s Peak, in theaters, I always felt the latter was a better movie but neither one were particularly good and seeing Volcano again after many years, my feelings remain however, it is at least a decent time passer. The big problem with this film is it heavily relies on clichés within the genre and has one-dimensional characters, although they attempt to give Jones more depth, and other movies compensate with amazing visual effects however here it’s nothing special and sometimes, especially establishing shots, really look weak even by 1997 standards. 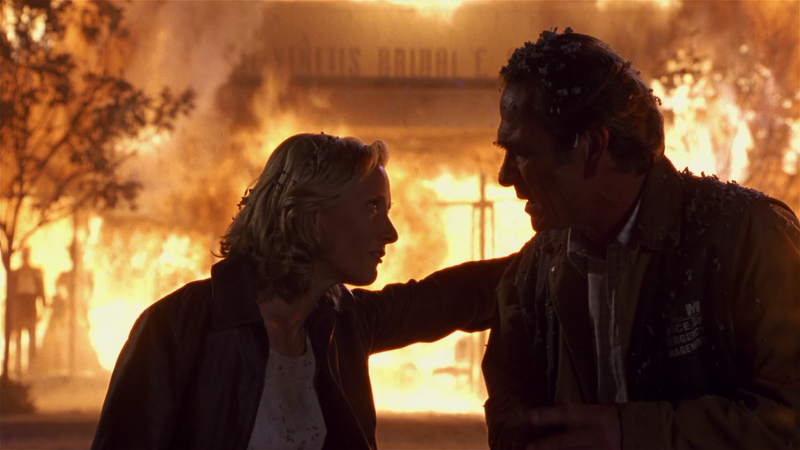 Still, Tommy Lee Jones and Anne Heche at least were attempting to make the most out of their characters, and a really weak and forced romantic interest in one another, but the supporting cast can be pretty cheesy headlined by John Corbett doing his best playing the biggest d-bag in cinematic history as his character pleads with his nurse girlfriend to leave those in need of medical support during the disaster and get out of harm’s way. It’s a laughable moment. And then there’s the kid. I can’t blame the tike as he was merely rattling off what the director told him to say, but he once again demonstrates why I hate kids in movies as they only manage to get into unimaginable trouble to help elevate the tension. As a disaster movie, you could do a lot worse than Volcano but don’t go in expecting The Poseidon Adventure, Airport or The Towering Inferno, but it seems director Mick Jackson (The Bodyguard) attempts to perhaps recreate the disaster flicks from the 50s and 60s as he compliments many scenes with Alan Silvestri’s bombastic score. Outside of the movie there is literally nothing else on this disc, not even a menu. 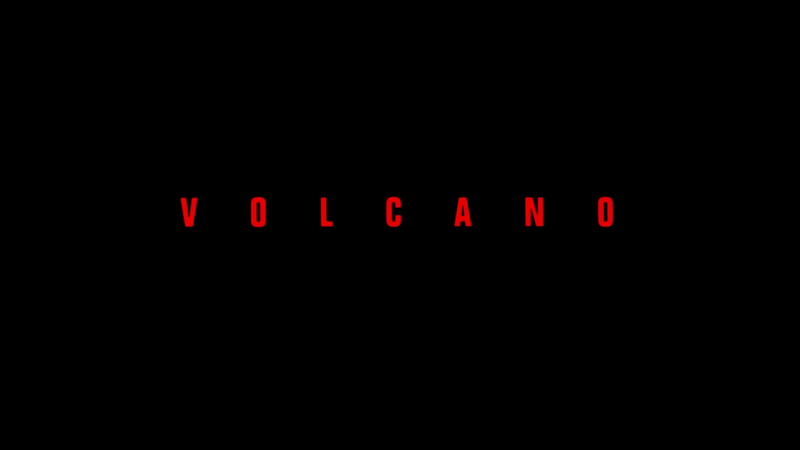 Anchor Bay, via Twentieth Century Fox, releases Volcano onto Blu-ray with a good looking 1080p high-definition transfer. Presented with a 1.78 widescreen aspect ratio, the picture does have some fine detail levels while the colors, albeit muted since a good chunk takes place either at night or within clouds of ash, seem well balanced. I would call this is a stunning transfer but it’s more than adequate for a quick release. On a similar front, the Dolby TrueHD 5.1 track gets a nice workout showcasing clear dialogue levels while the action sequences make up the bulk of the audio with some decent depth although there are limitations as at times it can top out. Even so, this is a clear upgrade over the original DVD’s Dolby Digital 5.1 track. 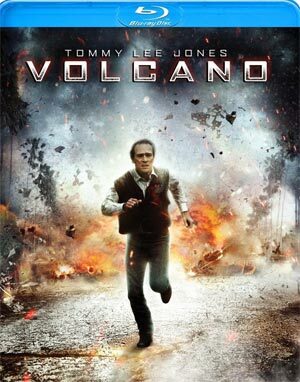 Overall, Volcano isn’t exactly a memorable disaster movie as it utilizes every cliché in the book but Tommy Lee Jones, Anne Heche and, to a lesser extent, Don Cheadle, each give admirable performances slugging through stilted dialogue and utterly laughable situations. Still, it’s passable entertainment but don’t go in, or leave, with anything more than what it is. The Blu-ray is a quick release by Anchor Bay, through Twentieth Century Fox, as they didn’t even bother putting in a menu system. With a $17.99 SRP, it is a bit much and is more suited to be in the range of many Echo Bridge’s titles (i.e. <$8).